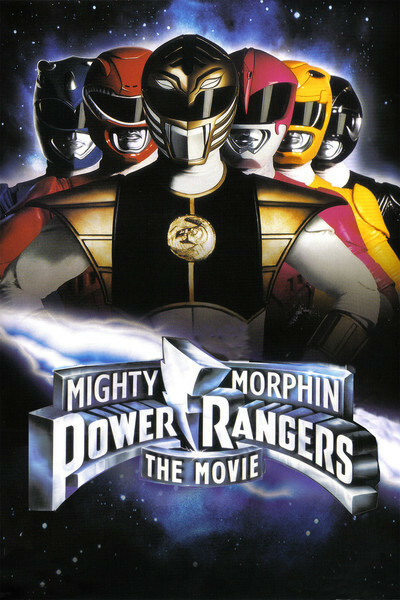 "Mighty Morphin Power Rangers: The Movie" is about as close as you can get to absolute nothing and still have a product to project on the screen. The movie is like those synthetic foods that have no fat, no sugar, no vitamins and no calories, but they come in bright packages and you can chew them. What depresses me inutterably is that children, who are fresh and inquisitive, will go to this movie and, for 88 minutes, the movie will do what it can to deaden their imaginations. The movie is like a little unkindness done to its victims. Its status as a product is underlined by the curious practice of adding the trademark symbol after every occurrence of the name in all of the advertising and promotion. (No room for an apostrophe after "Morphin," though.) The movie stars six teenage characters who have been marketed on TV and in toy stores. They have names, but no discernible personalities. None of them ever says anything more interesting than "You guys!" As teenagers, they are skilled in-line skaters and karate fighters, but they don't get their real powers until they turn into faceless clones in Power Rangers uniforms with plastic masks and helmets. Is that the message? Faceless conformity is the way to success? Certainly the Rangers are not individuals in or out of uniform, but I wonder if they don't represent a triumph of merchandising over creativity. Children's heroes have traditionally been individualistic and eccentric. The Rangers are not, properly speaking, even characters. In the movie, their city of Angel Grove is under threat from Ivan Ooze, an evil villain who has been imprisoned for 6,000 years inside a buried egg. (Curious that 6,000 years ago he would have had an English name.) Liberated from his prison by construction workers, he wages war on Zordon, the Power Rangers' leader, who is an old man whose face is projected as a hologram inside a big glass jar. Ooze has strange powers, including the ability to raise reinforcements by hawking up gobs of spit, which transform themselves into ooze-monsters. The movie also features various very large animated monsters that walk stiffly down phony-looking streets and do battle with one another in the tradition of the worst Japanese monster movies. Other action scenes involve the Power Rangers using badly choreographed martial arts moves on platoons of enemies, while mindless rock music drones on the soundtrack. Ivan Ooze is the only character in the movie with any personality or interest. Some of his dialogue seems to have been slipped into the film by the writers as an antidote to their own boredom; the kids who go to this movie are unlikely to make much of Ooze's complaint that by being imprisoned in his egg, "I missed the Black Plague, the Spanish Inquisition and the Brady Bunch Reunion." Paging through the movie's press kit, I came across this quote attributed to Amy Jo Johnson, who plays Kimberly, the Pink Power Ranger: " `Mighty Morphin Power Rangers: The Movie' is a mix between `Star Wars' and `The Wizard of Oz.' " I wonder if Amy Jo actually said "TM" when she was delivering that wonderfully fresh and spontaneous quote, which is so much more involved than anything she says in the movie. More to the point, I wonder if she has ever seen "Star Wars" or "The Wizard of Oz."